At this step of the wizard, specify the location to which you want to restore your data. Restore files to default location. 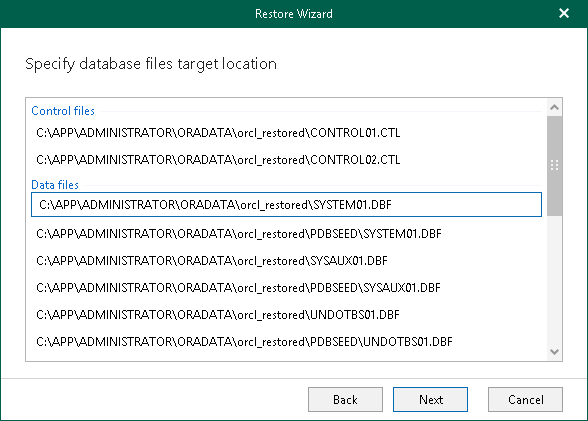 To restore database files to the default location that is taken from a backup file. Restore files to the following location. To restore database files to a custom location. Specify a folder to which you want to recover your data. If the specified folder does not exist, it will be created.